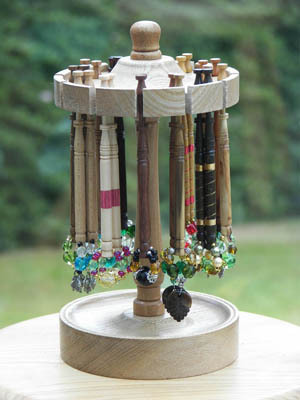 These small bobbins are 4cm without and 4.5cm with the spangle, and are available unspangled or spangled in a variety of woods from the list. 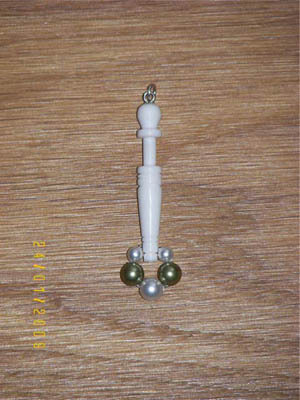 The earrings have sterling silver wires and glass (and Tibetan silver) bead spangles. 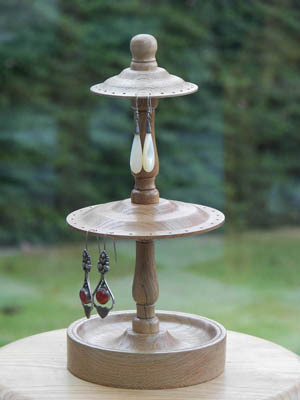 Available in single or double tier, and in Opepe and Scottish Elm wood. 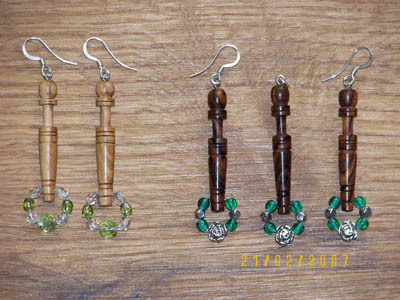 The single tier stand holds 12 pairs of earrings, the double one 24 pairs (both dangling and stud earrings). The base is a shallow tray, which will hold rings and other small items. Single stand photo shows Opepe, double stand shows Scottish Elm. 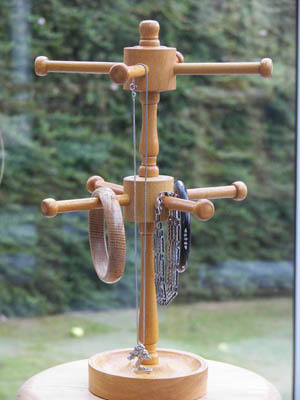 34cm tall, 4-armed necklace stand will keep all your necklaces in one easily accessible place. The base is a shallow tray for rings and other small items. Available in Opepe and Scottish Elm. Photo shows Scottish Elm. 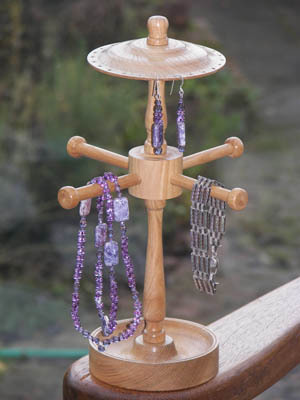 21cm talll, 4-armed bracelet, or short necklace, stand will keep all your bracelets in one easily accessible place. The base is a shallow tray for rings and other small items. Available in Opepe and Scottish Elm. Photo shows Opepe. 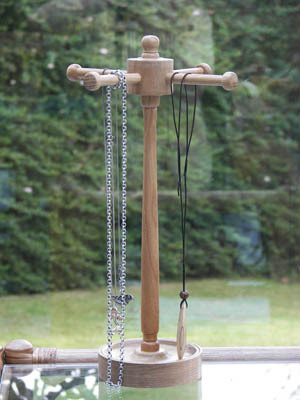 Combining our necklace and bracelet stands into one. Available in Opepe and Scottish Elm. Photo shows Opepe. 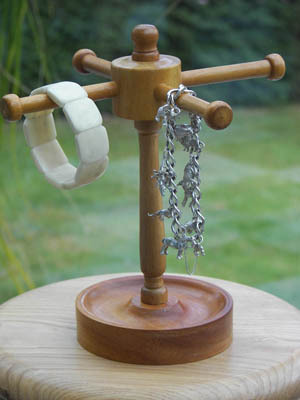 Combining all three jewellery stands into one: necklace, bracelet and earrings. Available in Scottish Elm and Opepe. 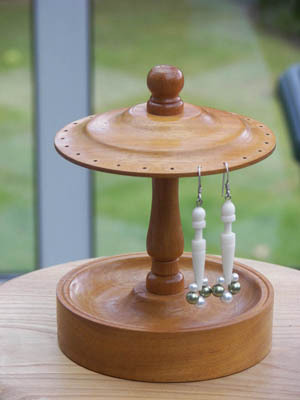 A stand to hold 24 of your most precious lace bobbins in Scottish Elm.